What Is Medical Triage in a Hospital? 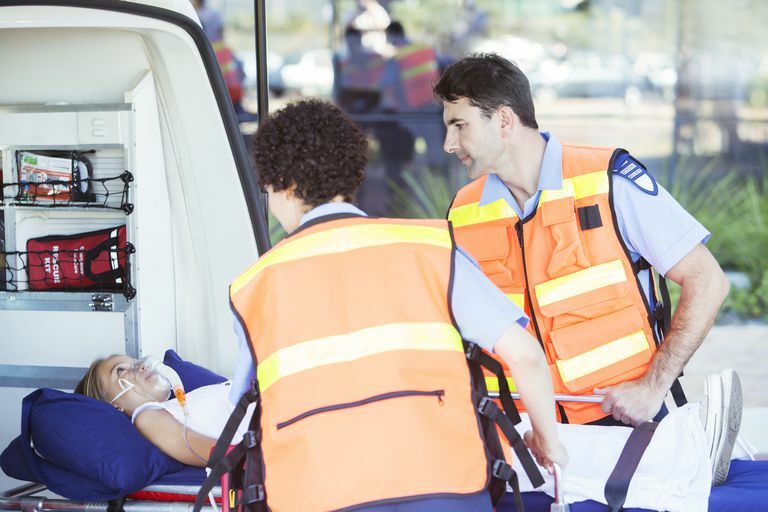 When used in medicine and healthcare, the term triage refers to a sorting of injured or sick people according to their need for emergency medical attention. It is a method of determining priority for who gets care first. Triage may be performed by emergency medical technicians (EMTs), emergency room gatekeepers, soldiers on a battlefield, or anyone with knowledge of the system during an emergency situation. The word triage comes from the French word trier, which means to sort or select. Its historic roots for medical purposes go back to the days of Napoleon when triaging large groups of wounded soldiers was necessary. Over the centuries, triage systems have evolved into a well-defined priority process, sometimes requiring specific training depending on the setting or organization that uses the system. Triage is used when the medical-care system is overloaded, meaning there are more people who need care than there are available resources to care for them. There may be mass casualties in a war zone, terrorist incident, or natural disaster that results in many injuries. There may be need for triage when a school bus accident or a large pile-up of cars on a highway results in too many injured people for too few ambulances or EMTs. In the United States, emergency rooms may be full of people who need immediate attention plus people who are seeking treatment for less serious conditions. The department may be staffed just to meet the expected need. When there are too many patients arriving and not enough personnel or other resources, triage is used to determine who gets care first. This ensures the patients who need lifesaving treatment or hospital admission are seen before those who may be presenting for a less serious condition. As such, triage may be considered a form of rationing. It may be a short-term need, as when there is a vehicle accident with multiple casualties needing ambulance transportation. Or, it may be a long-term need for a hospital that is often understaffed for the number of patients who arrive at the emergency department. Triage systems run the gamut from verbal shouting in an unusual emergency to well-defined colored tagging systems used by soldiers and EMTs when they arrive on the scene of a mass casualty accident or a battlefield with many wounded soldiers. Each organization has its own triage system. They all create priorities for who gets care or is transported for care. Red: Needs immediate attention for a critical life-threatening injury or illness; transport first for medical help. Yellow: Serious injuries needing immediate attention. In some systems, yellow tags are transported first because they have a better chance of recovery than red-tagged patients. Green: Less serious or minor injuries, non-life-threatening, delayed transport; will eventually need help but can wait for others. Black: Deceased or mortally wounded; black may not mean the person has already died. It may mean that he or she is beyond help and, therefore, is a lower priority than those who can be helped. Triage systems have been changing due to technology. There is increased use of telephones, cell phones, the Internet, and closed teleconferencing systems between trauma centers and rural hospitals that cannot afford the latest equipment or high-level specialties. Mccoy E, Chakravarthy B, Lotfipour S. Guidelines for Field Triage of Injured Patients. Western Journal of Emergency Medicine. 2013;14(1):69-76. doi:10.5811/westjem.2013.1.15981. Traub SJ, Butler R, Chang Y-H, Lipinski C. Emergency Department Physician Telemedical Triage. Telemedicine and e-Health. 2013;19(11):841-845. doi:10.1089/tmj.2013.0026.